The HTC Sensation XL has landed, leaving a sizable footprint behind. While it picks up the naming convention from HTC's previously dual-core flagship series and some Beats audio accreditation on the way, it looks pretty damn familiar to another member of the family. Yes, the family's Windows Phone flagship, the Titan certainly tickled our fancy -- no other phone had landed on that nascent OS with such a screen. But the Sensation XL faces phones both bigger (and only slightly smaller) in the increasingly crowded world of Android. At around $723 (£450), is the XL's single-core processor enough? Is that glossy WVGA screen still sharp enough at this size? How does this one compare to previous Sensations, and perhaps more importantly, Samsung's even bigger not-so-heavyweight? Keep reading after the break to find out. 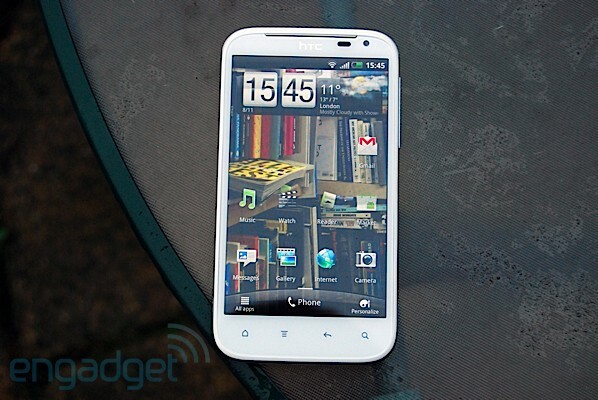 HTC Sensation XL review originally appeared on Engadget on Mon, 14 Nov 2011 10:00:00 EDT. Please see our terms for use of feeds.